Top 10 Public Liberal Arts Colleges in the U.S.
A public education doesn't need to take place at a huge university where you'll be lost in the crowd. The colleges listed here place an emphasis on quality teaching and undergraduate education. All are under 10,000 undergraduates (most under 5,000) and have a liberal arts curriculum. I've listed the schools alphabetically to avoid the often arbitrary distinctions that separate #1 from #2. If you're looking for the energy of a larger university, check out my list of the top public universities. Founded in 1770, the College of Charleston provides a historically rich environment for students. C of C is a public liberal arts college with a 13 to 1 student / faculty ratio and an average class size of about 21. The curriculum is grounded in the liberal arts and sciences, but students will also find thriving pre-professional programs in business and education. Located near Trenton, The College of New Jersey gives its students easy train and bus access to Philadelphia and New York City. With seven schools and degrees in over 50 programs, TCNJ offers the educational breadth of much larger universities. The college also wins high marks for student satisfaction, and retention and graduation rates are well above the norm. The New College of Florida was founded in the 1960s as a private college, but was purchased by the University of South Florida in the 1970s during a time of financial crisis. In 2001 it became independent of USF. In the past few years, New College has found itself high on several rankings of public liberal arts colleges. New College boasts an interesting student-centered curriculum with no traditional majors, an emphasis on independent study, and written evaluations rather than grades. A liberal arts college at heart, Ramapo also has many preprofessional programs. Among undergraduates, the Business Administration, Communication Studies, Nursing and Psychology are the most popular majors. Established in 1969, Ramapo is a young college with many modern facilities including the Anisfield School of Business and the Bill Bradley Sports and Recreation Center. 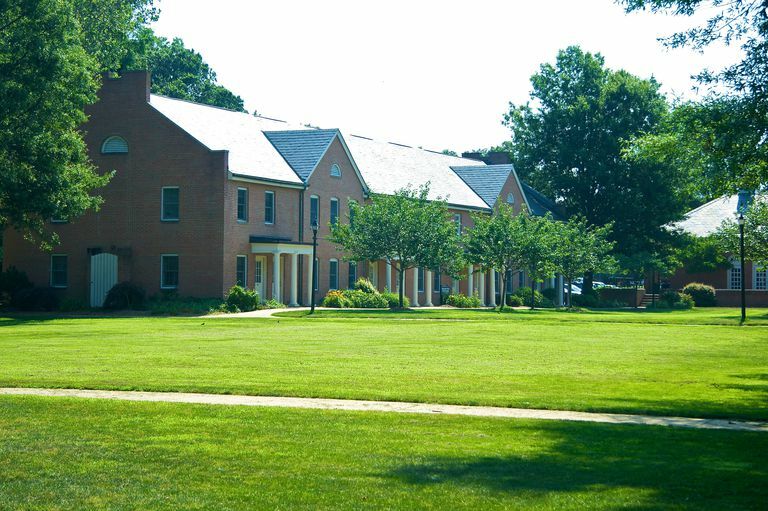 Located on an attractive 319 acre water-front campus, St. Mary's College of Maryland stands on a historic piece of land first settled in 1634. The college boasts a 12 to 1 student / faculty ratio. The school's academic strengths earned it a chapter of Phi Beta Kappa. Student life on the water has led to some interesting student traditions such as an annual cardboard boat race and a winter swim in the river. SUNY Geneseo is a highly ranked public liberal arts college located on the western edge of New York State's Finger Lakes region. Geneseo receives high marks for its value for both in-state and out-of-state students. The combination of low cost and quality academics has made SUNY Geneseo one of the more selective public colleges in the country. Strengths in the liberal arts and sciences earned the college a chapter of Phi Beta Kappa. Truman State University is an exceptional value, even for out-of-state students. Located in the small town of Kirksville, Truman State isn't for the student looking for the bustle of an urban setting. Nevertheless, with 25% of students in the Greek system and abundant student organizations, there's plenty to do on the weekends. For its academic strengths, Truman State was awarded a chapter of the prestigious Phi Beta Kappa Honor Society. Named after the mother of George Washington, the University of Mary Washington was the women's college of the University of Virginia before going coed in 1970. The primary campus is located midway between Richmond, Virginia and Washington, D.C. UMW also has a branch campus for its graduate programs located in Stafford, Virginia. The University has highly selective admissions and a chapter of the prestigious Phi Beta Kappa Honor Society. Founded in 1860, the University of Minnesota offers over 30 majors, and students enjoy the close relationships with faculty that come with a 13 to 1 student / faculty ratio and average class size of 16. Biology, Business, Elementary Education and Psychology are the most popular majors, and roughly 45% of students go on to seek an advanced degree. The University of North Carolina at Asheville is the designated liberal arts college of the UNC system. The college is located in the beautiful Blue Ridge Mountains. In athletics, the UNC Asheville Bulldogs compete in the NCAA Division I Big South Conference.